Drive customer engagement with relevant and personalized mobile marketing. 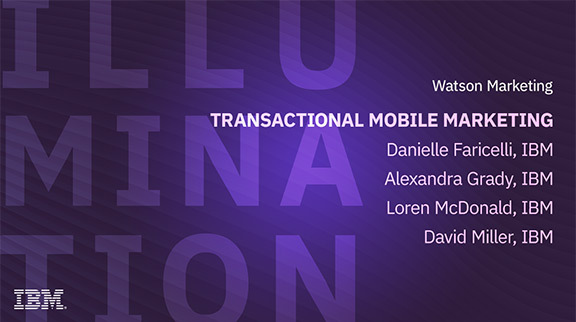 Join IBM for the next installment in its webinar series about mobile marketing. Learn how to increase customer loyalty and drive your business with mobile. Engage with customers when and where they expect it - on their mobile devices.